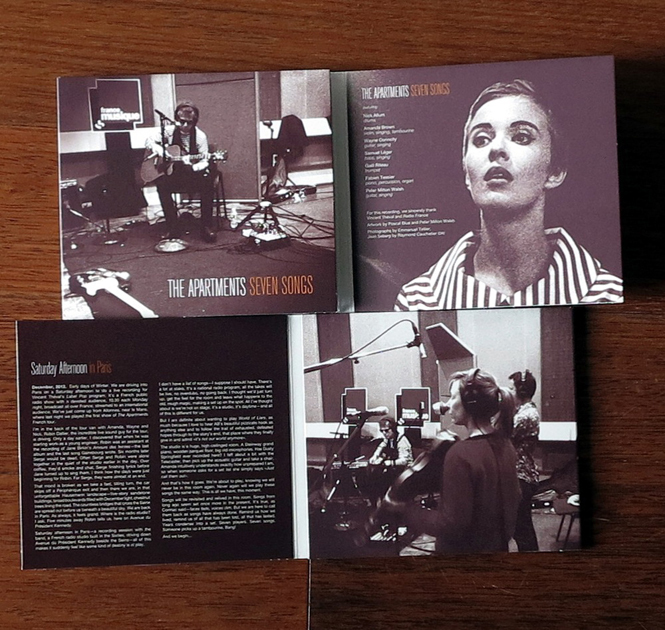 In December 2012, together with “49 Swimming Pools”, the Australian band “The Apartments” (Peter Milton Walsh and his musicians, with the presence of Amanda Brown of “The Go Betweens” among others), gave a series of concerts in France. During this tour, a radio session was recorded for the show “Label Pop” presented by Vincent Théval on France Musique. 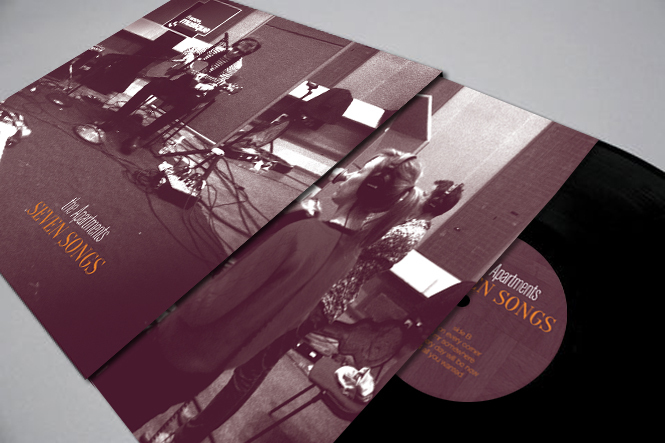 Dubbed "Seven Songs", this record is published on the Bordeaux record label Talitres, for the Record Store Day 2013. With the help of Peter Milton Walsh, we worked on the cover of this record; we wanted it to be the most simple and most accurate visualisation of this session. For this purpose, we used photographs taken during the recording, in order to restore the atmosphere that was present in the studio and allowing us to share, with the audience, this intimate moment both musically and visually.